What a great price for such cute decorations. The mini chalkboards are super cute, and we used them recently for a buffet that we had set up. We used a chalk marker on them and listed what was in each pan. It looked high class! Each board comes with it's own easel that you just slip together and when you're done, they slip apart and lay flat for storage. 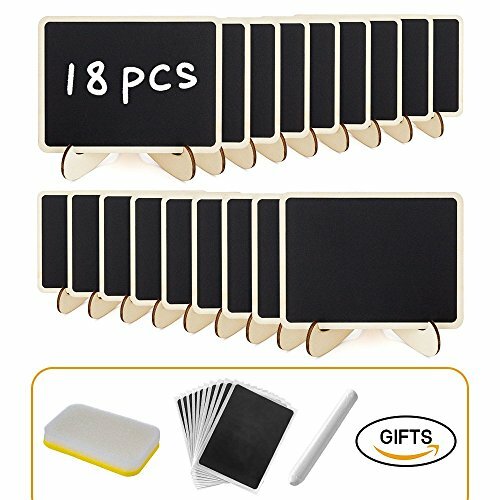 Great price for 18 of anything!